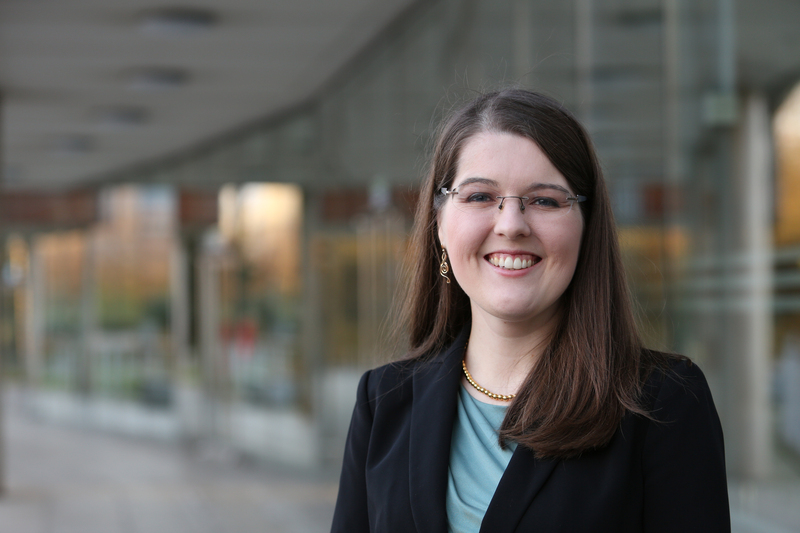 Dr Elizabeth Argyle is a Research Fellow with the Institute for Aerospace Technology (IAT) and is a member of the Human Factors Research Group (HFRG) at the University of Nottingham. Her recent work on this topic is discussed in more detail in an article in Cognition, Technology & Work, and she can be reached by email or by following her on ResearchGate and LinkedIn. With over 470,000 flights passing through it in 2016, London Heathrow is the UK’s busiest airport, serving 190 other global airports in 84 countries. To accommodate increasing flight demand, optimal allocation of airport resources is increasingly critical for ensuring efficient and safe airport operations. 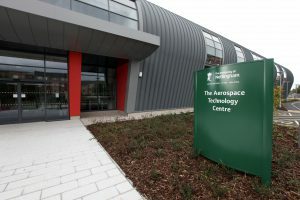 For the past two years, I’ve been part of a team of researchers from the University of Nottingham who are contributing to this goal by developing user-centred, optimization-based decision support products for air traffic controllers engaged in flight scheduling, routing, and resource allocation. We employ a research framework which grounds system design in an understanding of human behaviour and cognition gathered through real-world observation and laboratory-based experimentation. In recent years, aviation authorities worldwide have been developing systems to support air traffic controller decision making, to improve safety, and to reduce the environmental impacts of aviation. 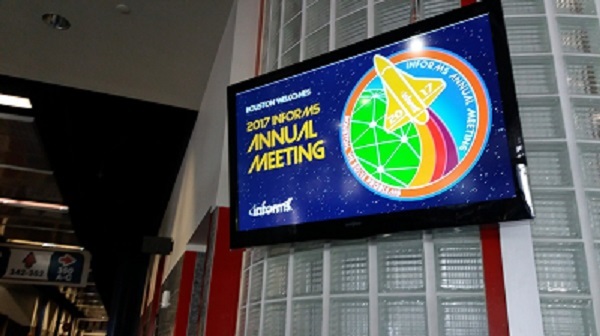 To date, members of the University’s School of Computer Science and the Institute for Aerospace Technology have led the development of tools that leverage optimization techniques to solve operational issues, including arrival scheduling , departure scheduling , and ground movement management . 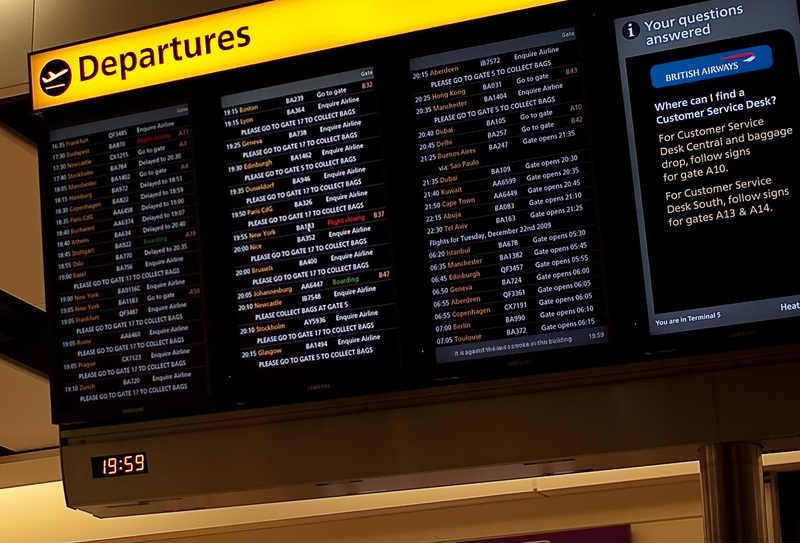 Algorithms based on their research have been integrated into the new Collaborative Decision Making system at Heathrow. This system has resulted in record peak departure rates, improved recovery from disruption, and £2M of fuel savings . Air traffic controllers specialize in particular elements of flight, with some controllers managing flights en-route, others managing flights within the terminal airspace, and others managing an aircraft’s movement through the airport’s taxiways, holding areas, and runway(s). Our research has primarily focused on the latter—supporting tower controllers in their work related to managing airport traffic and operations. For more information about the why optimizing airport surface operations is important, I direct the reader to my colleague Christofas’s blog post on that topic. Aerospace Technology Centre, University of Nottingham. Building upon our INFORMS presentation, we recently published an article describing an investigation into how humans solve a vehicle routing and scheduling optimization problem—our findings indicated that human problem solvers performed better when decision support was provided, which effectively limited the problem space. Based on maps of Heathrow’s runway holding areas, we created a board game in which players were responsible for routing a set of aircraft to take off from the runway according to a given schedule. The game represented an abstract version of the type of tasks tower controllers complete while routing and sequencing departing aircraft. Thirty participants with no air traffic control experience played two games each in which the goal was to get each aircraft to depart on time from the runway and in the least number of turns possible. In half of the games, we asked participants to make the aircraft take-off in a specific order. In the other half of the games, we let the participants decide the take off order, but we specified a due date (turn number) for each flight; any aircraft taking off after this point were considered to be delayed. Taking part in the board game. To capture information about how participants’ solved the vehicle routing problems, we video recorded each gameplay session and also kept a recorded of each solution that participants generated. We were interested in identifying which participants found the optimal solution to each game—that is, completing the game in the fewest number of turns with all the aircraft taking off in the right order or with the least amount of delay. Eight participants completed one game each with the optimal solution, and interestingly, seven of those solutions were found in the more restrictive games where we specified the take-off sequence. We wan ted to understand what factors helped to improve participant performance, so we conducted a statistical and qualitative analyses on the gameplay data and video recordings. We found that the odds of a participant solving a game optimally increased as a function of time spent solving the problem and the objective condition (whether the take-off sequence was provided or left to the participant to decide). 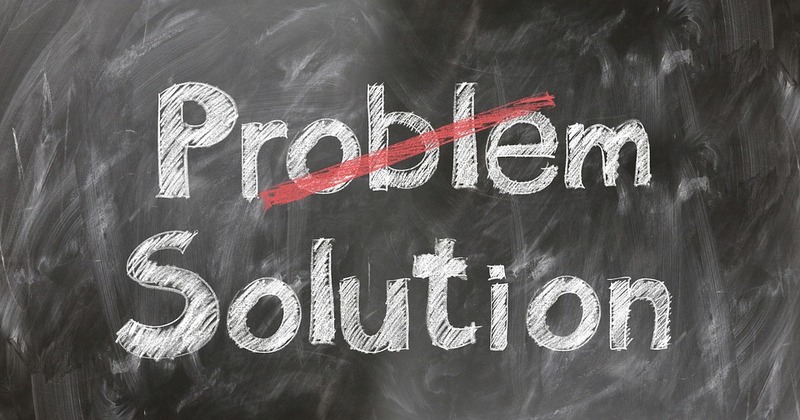 In other words, participants were more likely to generate the best solution when they spent more time evaluating the problem and when the problem space was reduced. 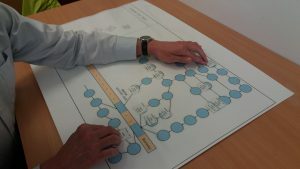 Participants employed a number of decision making heuristics to solve the problems and potentially reduce the cognitive demand of the task; this finding concurred with previous studies that observed problem solvers using visuospatial and arithmetic-based techniques. 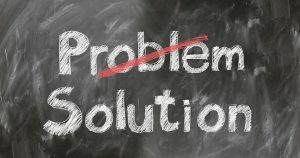 Finally, when comparing performance between the participants that identified optimal solutions and those that did not, the optimal-solution participants demonstrated a greater degree of future thinking and overall awareness of the situation. Our findings are interesting both because they help us to better understand human optimization problem solving, but also because they have implications on the design of future decision support systems. Based on our research, we believe that people responsible for vehicle routing and scheduling decisions—such as tower controllers—may benefit from technology that provides decision support for planning activities. There is still much that needs to be done to understand the relationship among optimization-based decision support, task performance, and cognition. Managing factors like situation awareness and workload is important to human performance in many complex sociotechnical systems, including air traffic control. Our work demonstrates that behavioural research can help us to identify how decision support and other automated systems can be designed to address user cognitive requirements. In turn, this can potentially improve usability and end user acceptance of decision support systems of the future. Readers interested in reading about the study in greater detail can find the paper published in Cognition, Technology & Work. It is titled, “Human performance and strategies while solving an aircraft routing and sequencing problem: An experimental approach” and an open access copy is available here.